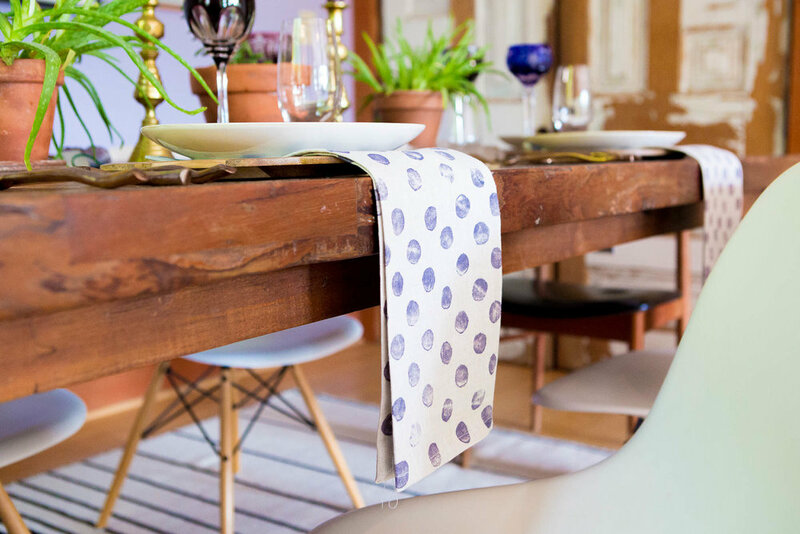 Jump on our newsletter and be the first to know about special deals, new products, and tips on great design. Thank you! Special deals and news will be coming your way soon! This fall brings a whole new collection of cool, fresh new pillows. We've pumped up the embroidery, and created new prints and styles that are meant to be layered, combined and mixed and matched. Give them as gifts or create an oasis of color and texture in your home. Dive in to the pillow party to see more! 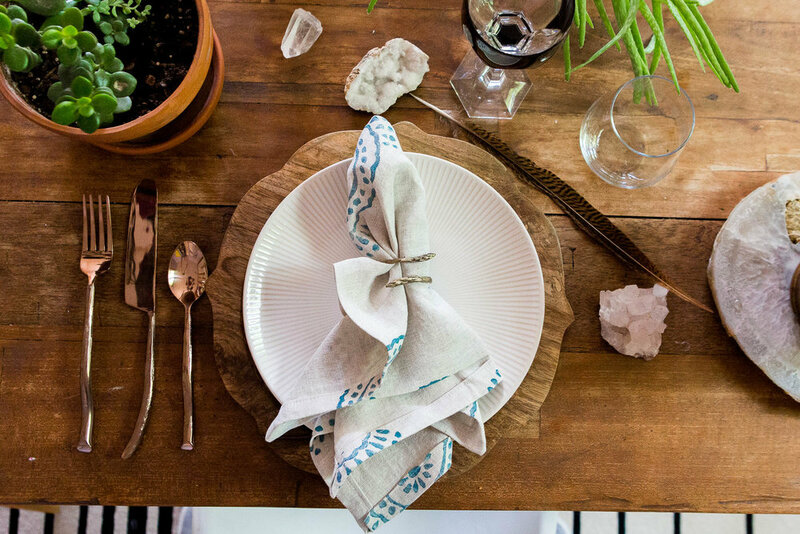 Warm colors, lovely linens and beautiful patterns are the high notes to a well set table. collect a variety and mix and match our colors and patterns for a festive, bohemian look that your guests will love. 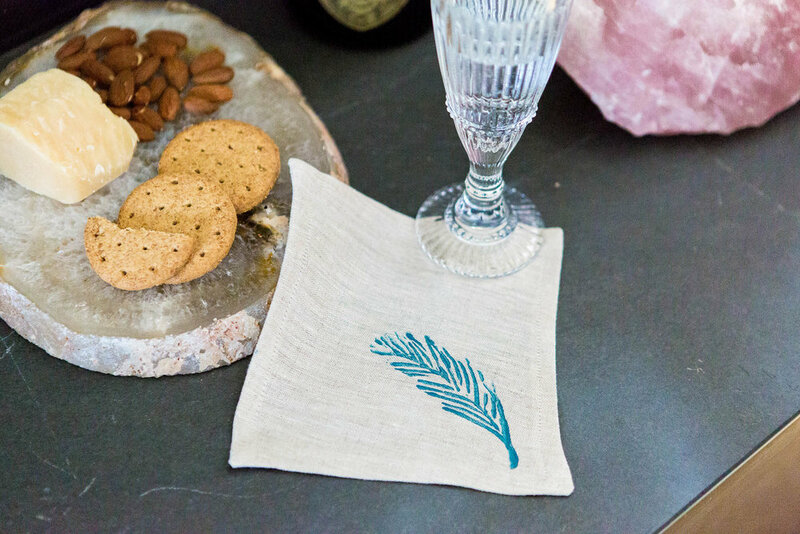 Explore our offerings and be sure to check out the new EUro sized linen dinner napkins as well as our sweet new embroidered cocktail napkins that make the perfect gift. One-of-a-kind, gorgeous hand embroidered clutches, sweet pouches, and perfectly sized catch alls and totes are perfect for giving as gifts or for gifting to yourself.